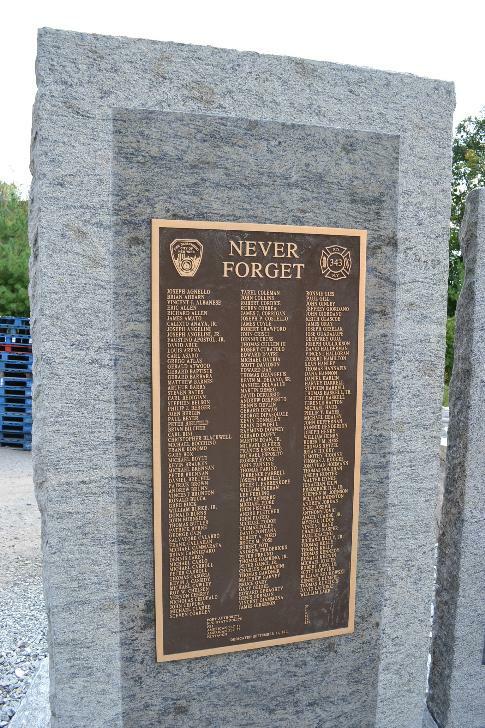 Legacy Stoneworks hand crafted this large granite monument for the Montauk, NY Fire Department. Left and right tablets are 7' tall x4' wide and center tablet is 6' tall x 5' wide. Made of Hillburn Granite(TM). 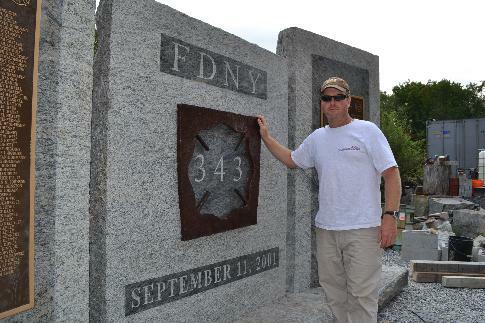 The left and right uprights the granite monument holds bronze tablets listing names of Fire Department and first responders lost in the September 11 attack on the World Trade Center in NY. Center table of monument is 6' tall x 5' wide. 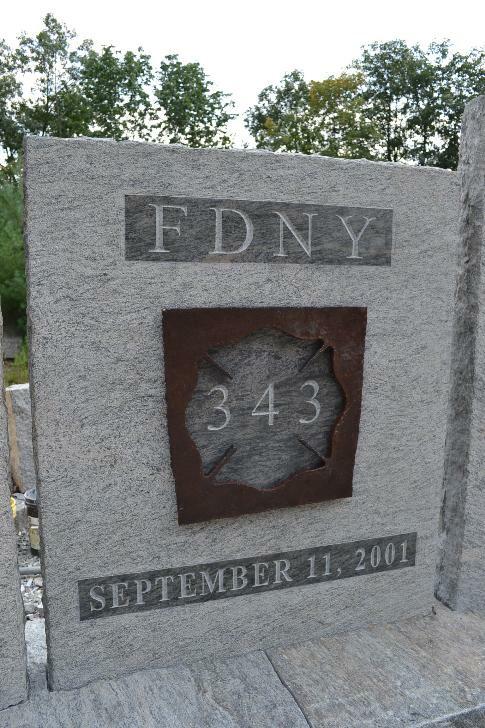 Polished lettering area has carved FDNY and September 11 date. 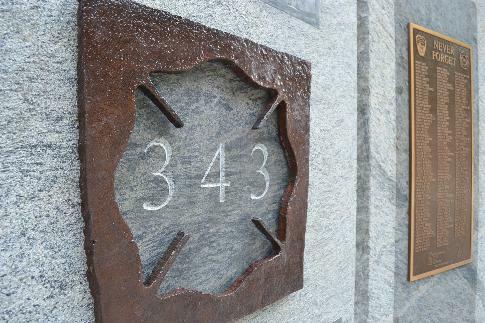 Center Maltese Cross polished granite with number 343 framed by steel recovered from Ground Zero. 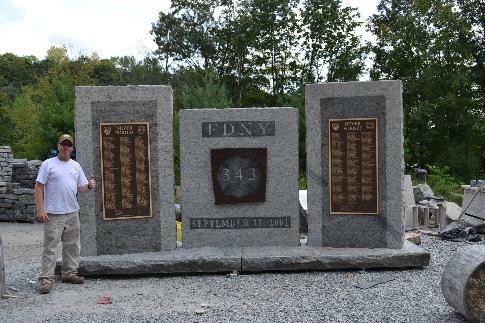 A Custom stone memorial made by Legacy Stoneworks from Hillburn Granite for the Tuxedo Park Fire Company. Memorial is 10' tall x 12' wide x 3x thick.